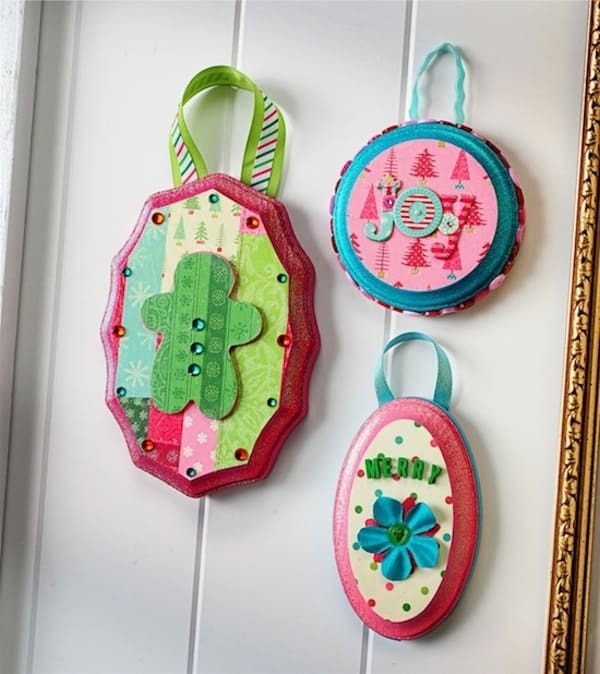 You'll love this project in which I turned mini plaques into DIY mini ornaments for Christmas. 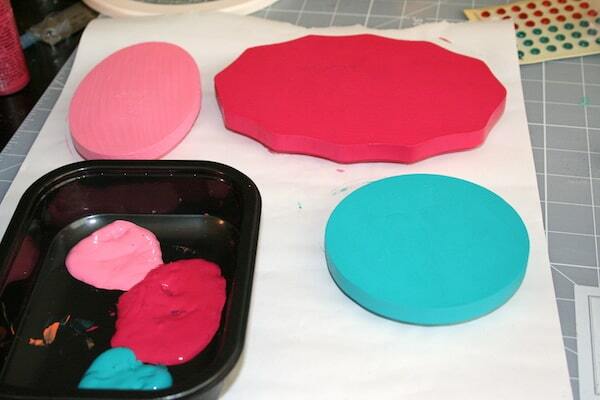 Use Mod Podge and holiday scrapbook paper. 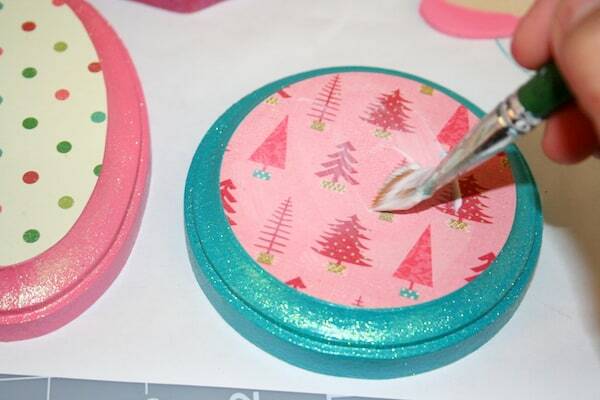 Check out my holiday minis – aka, DIY Christmas ornaments! Remember when I did the Halloween ones? Well they are back – like a bad penny – this time in perfect holiday shades. Am I the only one who likes brights this time of year? Colors that are non-typical? I know my readers by now, and you do! Here's what you'll need to make these little babies. 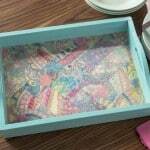 Scrapbook paper – I used Brenda Walton Peppermint Twist from K and Co. I always trace the shapes for my finished project first. Why? Because if pencil/pen marks get on my surface, then I can paint over them. 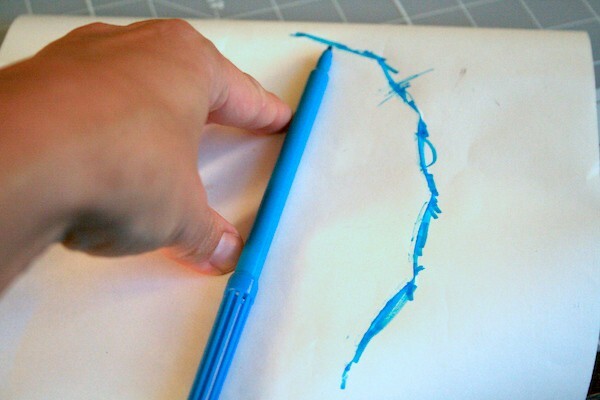 Start by tracing the top of the minis onto your spare sheets of plain paper. These will be your templates for cutting out the scrapbook papers later on. 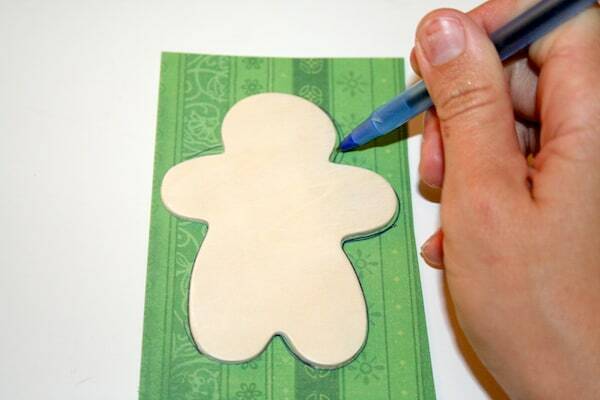 At this this time you should also trace any wood shapes you are going to use (like my gingerbread man). 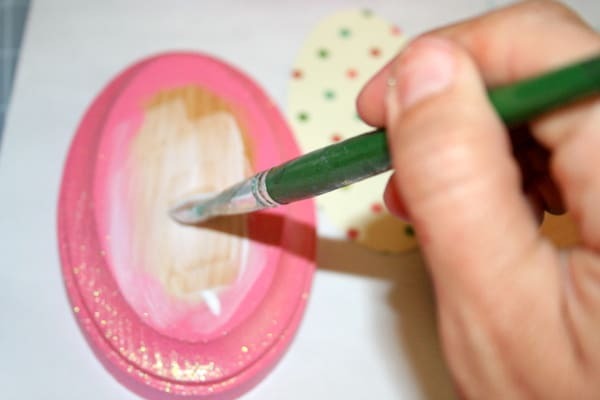 Set those sheets aside – you’ll cut them while the paint is drying on your project. 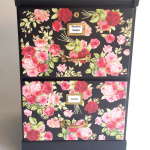 Choose what papers you want to use from your pretty scrapbook papers – figure out which paper goes on which mini and then choose corresponding paint colors. Paint the minis accordingly. You will have to paint several coats of all colors. Allow to dry. 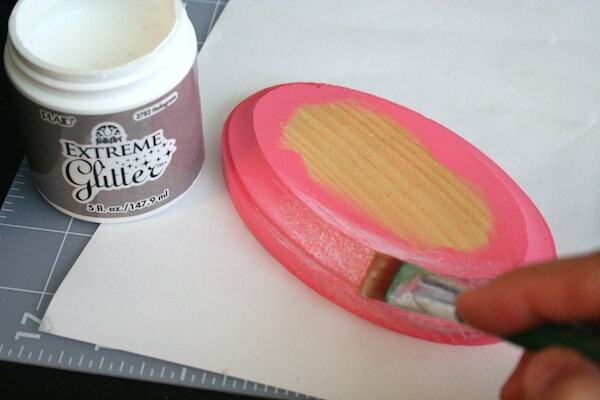 Don't forget to paint the edges of any wood pieces you use! I painted my gingerbread man Magenta on the edge to match the plaque it was going on. At this point I used FolkArt Extreme Glitter in Hologram to *really* make my plaques sparkle. I painted 3 coats around the edges of all my minis, letting dry about 15 minutes between coats. Allow to dry after the last coat. You are now going to cut the paper(s). Grab your templates and place them down onto the scrapbooking paper. Cut out the shapes of the plaques and of the gingerbread man. The circle plaque is nice because you can just use a circle cutter on that one. 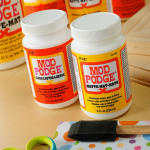 When your plaques are dry, adhere these paper pieces to the fronts of the plaques and wood piece(s) using the Mod Podge. Try not to get any on the edges of the minis because it will cause the glitter to dull. 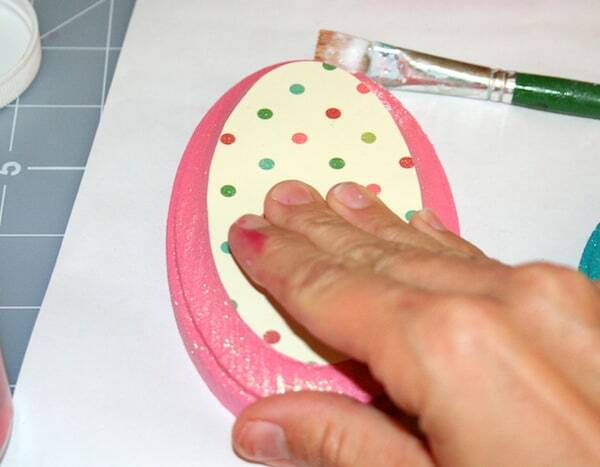 Completely smooth out all air bubbles and allow to dry for 15 – 20 minutes. 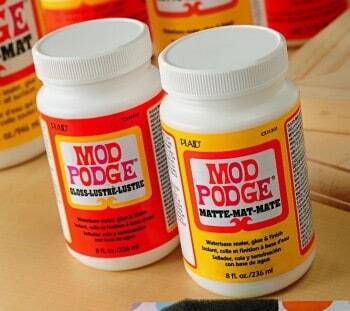 Coat the fronts of the minis again with at least two coats of Mod Podge. Allow to dry completely. Here's the fun part – go crazy with embellishments! Check out my picture to see what I did. 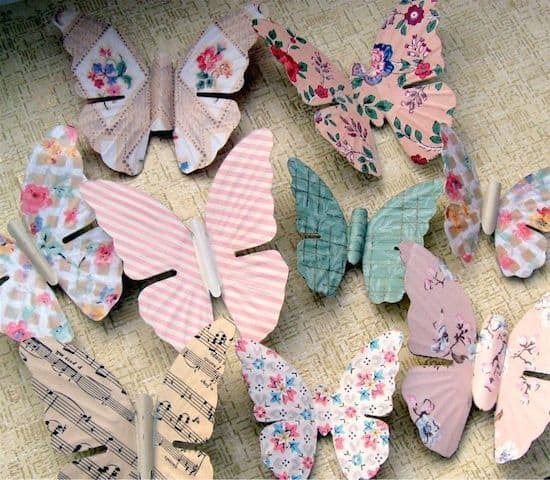 Use your craft glue to glue any wood pieces down, then add embellishments as desired. Try to use items in your stash; it's fun! Allow the minis to dry for at least 24 hours before using. What do you think of these DIY mini ornaments? Would you make them for Christmas? Let me know in the comments! What’s the secret for such neat and perfect edges? I can’t imagine getting my templates that precise. 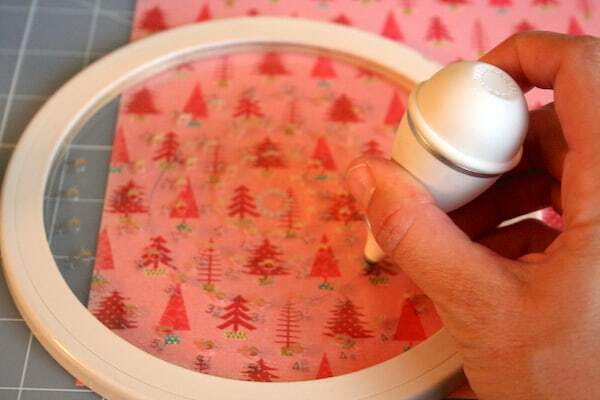 These Christmas decorations look very quick and easy. thanks for sharing. I hope that auction raises heaps of money for those little darlings. These look great! Thanks for the tutorial. All of your projects are so clever! I’m working on my first MP project ever, and I’ll be posting soon with the end result – thanks to you! Those are so cute. And I love the colors you used! Yeah, me too…..digging the teal and pink! Anyone who knows me expects hot pink, lime, turquoise, and yellow for Christmas colors! (private art/ craft) calls it Hodge Podge! 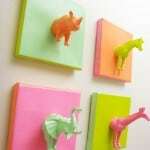 these are downright adorable! love the papers you chose too!